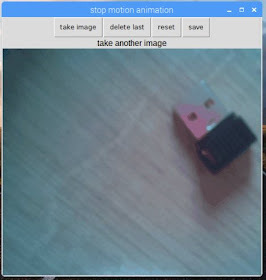 Its a really simple application, you start it up, you click "take image", you re-position the scene, you click "take image" and so on until you are happy with your animation and you click "save" to store it as an animated gif. You can find the source code at goo.gl/4Xvu7b. The gui was created using guizero which is a super simple to use library for creating GUI's, definitely have a look. When the animated gif is displayed in guizero the BytesIO stream has to be open into a PIL Image. That is amazing, my grad 5 class will use this for a stop motion we are looking to create. A quick question, is it possible to create an .obj or .stl from Minecraft Pi. I noticed it is possible https://support.playpiper.com/hc/en-us/articles/115002425947-3D-Printing-from-Story-Mode just wondering if you might know a way to do it without installing piper? 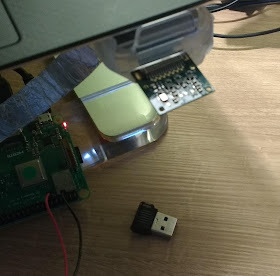 When I try to play the gif with the Raspian image viewer, it seems to only be showing the first couple of frames. 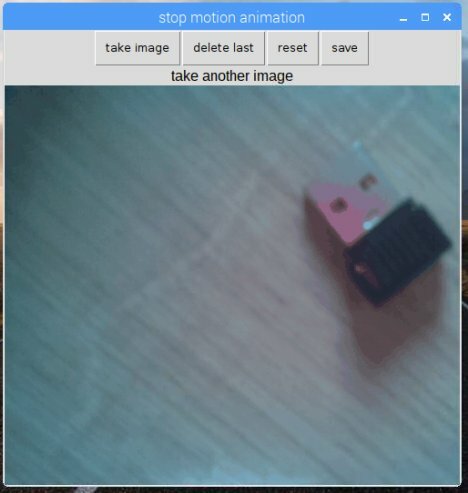 Is there a better way to view the stored animation?